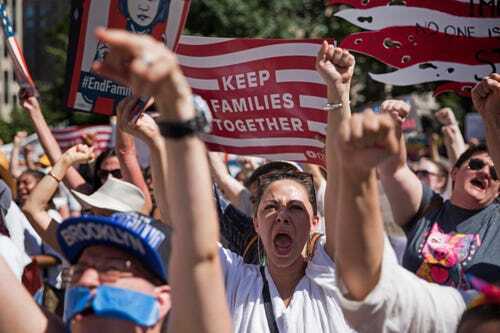 BEDMINSTER, NJ – President Donald Trump will have to watch the news or surf the Internet to see the tens of thousands of people gathering outside the White House protesting his “zero tolerance” immigration policies. He’s 220 miles from the official residence, ensconced in Trump National Golf Club, his private resort in Bedminster, New Jersey. The president has no public events this weekend and is not expected to make comments in the press. So some protesters decided to come to him. More than 100 people lined up along the side of Route 206 a few miles away from the president’s club in Bedminster, waving anti-Trump signs and chanting, “Where are the children!” on Saturday during the “Families Belong Together” protest near his club. Weekly protests have been going on here since the president’s 2016 election but this is one of the largest turnouts here. Out of sight, Trump turned to his favorite medium – Twitter – to push back on some Democrats’ calls for the abolition of the U.S. Immigration and Customs Enforcement which has been carrying out the president’s directive. To the great and brave men and women of ICE, do not worry or lose your spirit. You are doing a fantastic job of keeping us safe by eradicating the worst criminal elements. So brave! The radical left Dems want you out. Next it will be all police. Zero chance, It will never happen! 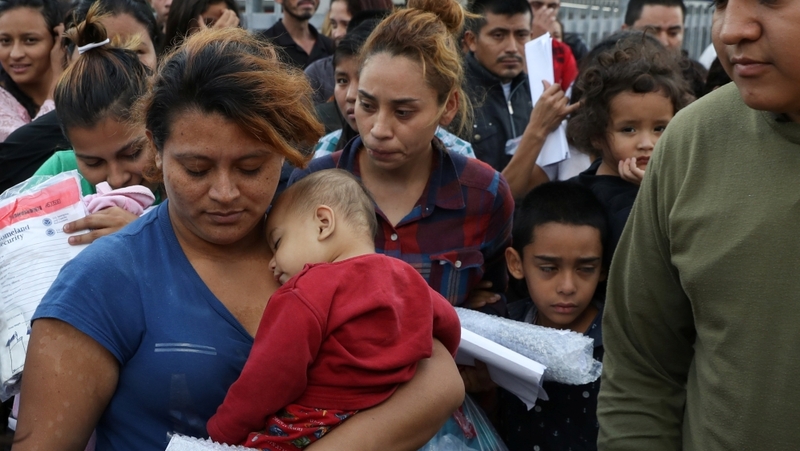 After receiving backlash from immigrants, Democrats and Republicans, Trump signed an executive order on June 20 to end the practice of separating parents from their children after being arrested. But the order did not end the administration’s policy of referring all migrants caught illegally crossing the border for criminal prosecution. The order says the administration will “rigorously enforce” immigration laws and “initiate proceedings” accordingly. And Trump said after signing the order that officials will have “zero tolerance” for people crossing the border illegally.